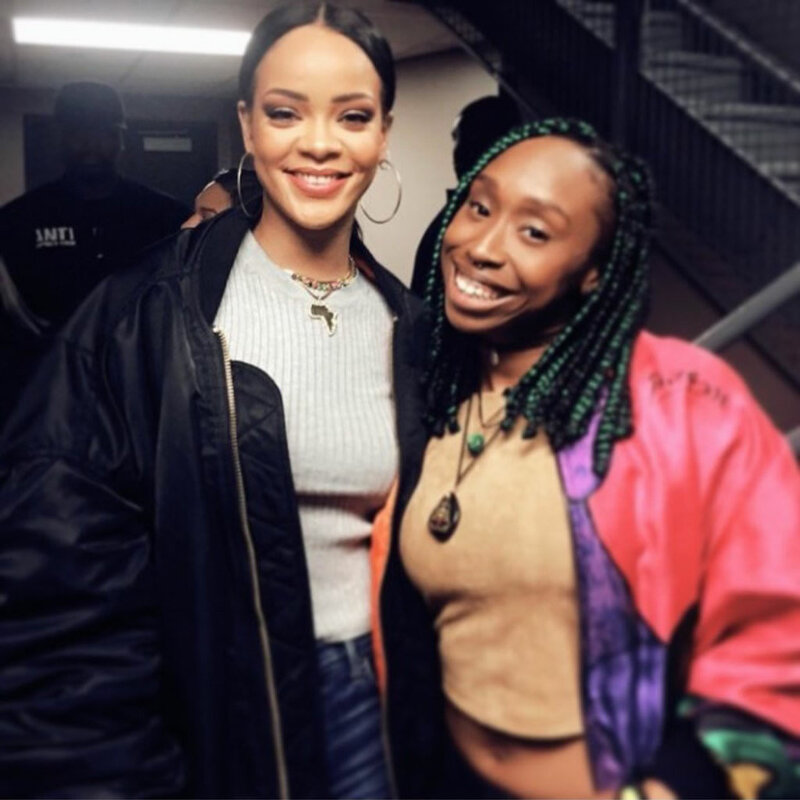 Here’s the latest roundup of Rihanna’s impromptu meet and greets. She has no formal meet and greet packages for this tour, instead she has been inviting fans to join her after some of the shows. Click here to see all previous posts. On May 3rd the tour arrived in Los Angeles. 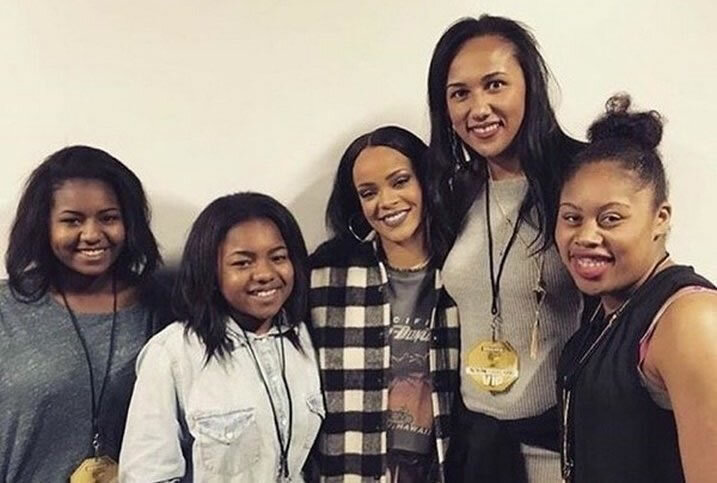 Backstage Rihanna met up with a fan named Tyla who shared this great video of Rihanna complimenting her spirit. The Bajan songstress wore an amazing dress from Jacquemus‘ Spring/Summer 2016 collection [Look 21]. 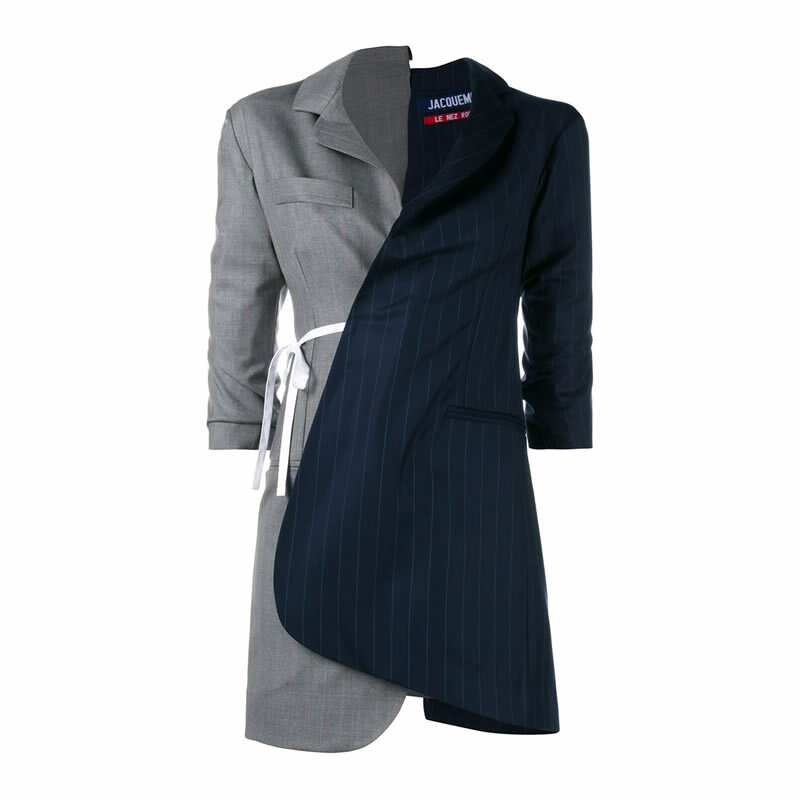 The asymmetric wrap dress is designed to look as though two blazers – one gray, one navy with pinstripes – were mashed together. Unfortunately, it is sold out. The next night she was spotted backstage rocking two sold out items from Vetements and Citizens of Humanity. This is Vetements’ black bomber jacket that has a bright orange lining, a zip front closure and a zip pocket on one sleeve. She paired it with a grey top and Citizens’ Premium Vintage Arley jeans in Ramone. The high-waisted jeans have rips in both knees. Rih was actually photographed at dinner later that night in the same outfit so click here for a more detailed look at what she wore. The ANTI World Tour arrived in Oakland on May 7th and that’s apparently where this photo was taken. Here the fashion icon opted for another Vetements piece but this time she rocked it with vintage. Rih has actually worn this Vetements shirt before in a Snapchat story. Click here for a refresher. 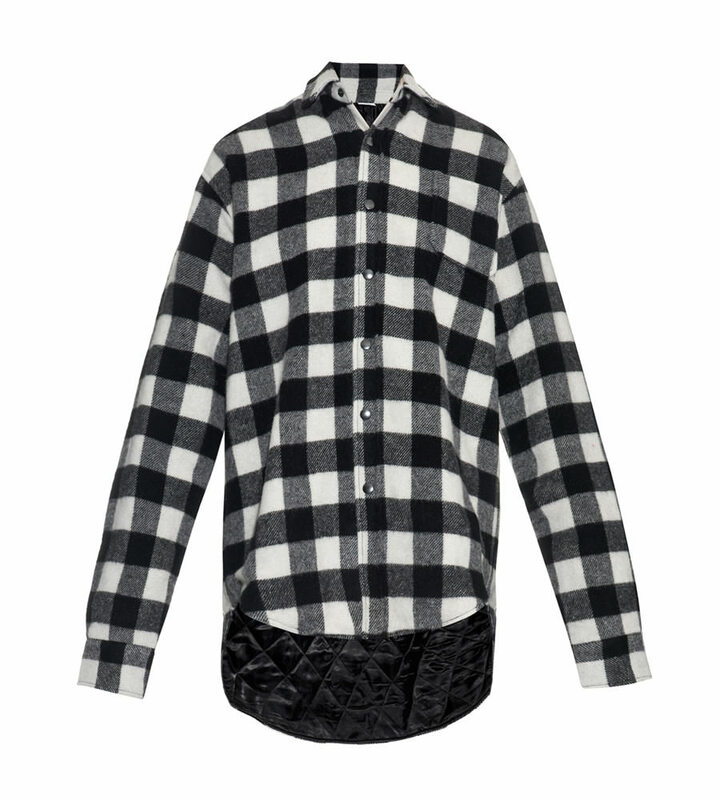 The sold-out top features a buffalo plaid print, a snap button closure, an asymmetric hem and a black quilted lining. Underneath she wore a vintage Pacific Harley-Davidson t-shirt that celebrates Hawaii. I can confirm that she got it from What Goes Around Comes Around. Finally, here’s Rihanna with stylist and fashion blogger Nini Nguyen, who has had the pleasure of styling BadGalRiRi herself. Click here to see one of those looks. This photo was taken backstage at the Dallas show on May 13th and Rih chose one of her own designs for this occasion. 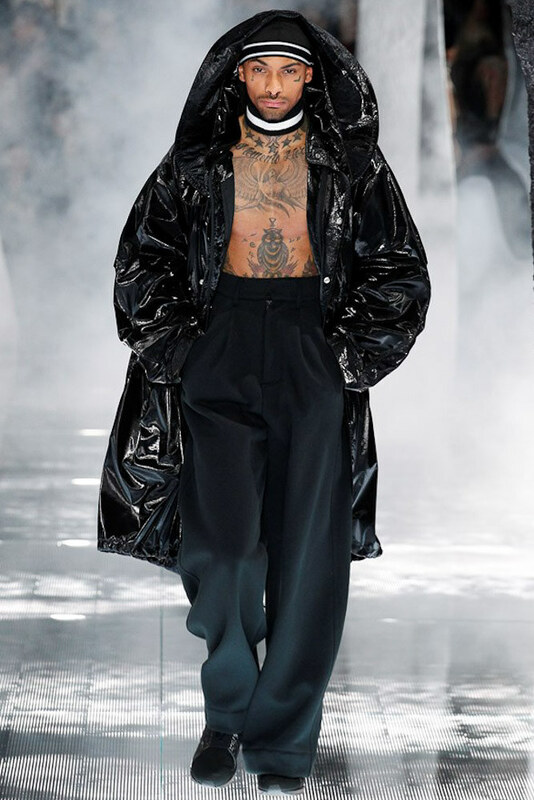 The oversized grey trousers were featured as part of Look 18 in the Fenty x Puma Fall 2016 collection. I hope you have your calendars marked because the collection is expected to drop in September.